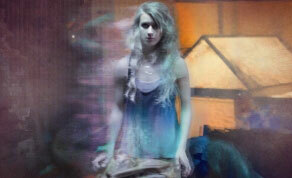 A still from 'Cloud Chamber Project', an interactive sci-fi mystery. The 58th Cork Film Festival will this year showcase the convergence of film and digital media by hosting a range of seminars and panel discussions at the Triskel Arts Centre in Christchurch, Cork. EMERGE, the digital and transmedia strand of the London East End Film Festival, will bring their celebration of the myriad ways in which technological advancements have influenced the film industry to Cork Film Festival on Saturday November 16th. The showcase will take the form of three consecutive sessions to be moderated by Transmedia Producer Christopher Ian Smith, running from 4pm to 7pm. The first session will cover experimentation in digital technologies, with Kibwe Tavares and Christian Fonnesbech to speak. Mr. Tavares is the director of London creative studio Factory Fifteen, while Mr. Fonnesbech is the director of ‘Cloud Chamber’, the sci-fi mystery starring ‘Game of Thrones’ star Gethin Anthony. The second session will delineate what exactly ‘transmedia’ is, and will feature a panel discussion with Triona Campbell (BeActive Media), Matt Locke (Storythings) Christian Fonnesbech (Cloud Chamber Project) and Adipat Virdi (Transmediasphere), to be followed by a Q&A session. The third and final will feature presentations from forward-thinking filmmakers who have adopted digital technology into their craft. These speakers include Jamie King (VODO), Patrick O'Neill (Wildcard Distribution) and Olivier Kaempfer, (Producer, Borrowed Time). Speaking about the event, festival director James Mulligan said it will be “one of the most inspiring and future-thinking events in the whole country. Emerge is truly something of which Cork's Creative Industries can be proud". Cork Film Festival will run from 9th to 17th of November. For more information on the EMERGE event or the festival itself, see www.corkfilmfest.org.